Everyone loves sweets. In Kyoto, you can enjoy various types of sweets ranging from Wagashi (traditional Japanese sweets) to today’s favorites—or a mix of both. There are numerous shops around Kyoto where you can enjoy fantastic treats, and here are 10 of our best picks! 10. Amazing food from… an aquarium!? Kyoto Aquarium is a fantastic tourist spot where people of all ages can enjoy. It is one of the popular spots for families with various marine creatures on display. Kyoto Aquarium is also famous for the wide variety of unique sweets available. 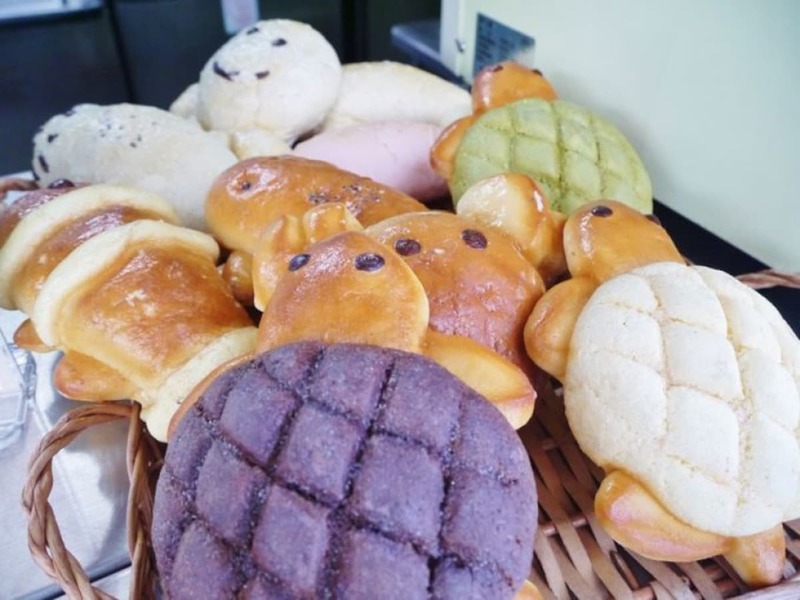 One of the popular ones is the Jellyfish bun, where actual jellyfish is filled in the buns. They are the edible jellyfish imported from ports and not those on display so have no fear eating them. Also available is the Suizokupan that can be found in the Kaiju Café. Bread of various flavours are shaped in cute marine animals such as salamanders and sea turtles. These buns are not only delicious but will also be something children will enjoy! 9. Taiyaki? Parfait? Why not have both? The Taiyaki is a famous Japanese fish-shaped cake with fillings such as red bean paste and chocolate. Sanja is a stall located near the Inari Shrine which serves a combination of Taiyaki and parfait. Instead of filling the Taiyaki with the usual fillings, cream, banana and chocolate sauce are squeezed into it. The delightful harmony of Taiyaki and Parfait is perfect for a walk-and-eat food! Another item available at Sanja is the Natto Gohan Crepe. The Natto is a Japanese dish made from fermented soy beans, while Gohan refers to rice. The Natto Gohan Crepe at Sanja is exactly as its name suggests - rice and fermented soy beans are filled in delicious crepes. Many students who visit Kyoto during their field trips order this snack, and this is also another great walk-and-eat food. Karafuneya Coffee Shop is a café located at Kawaramachi which serves various sweets. 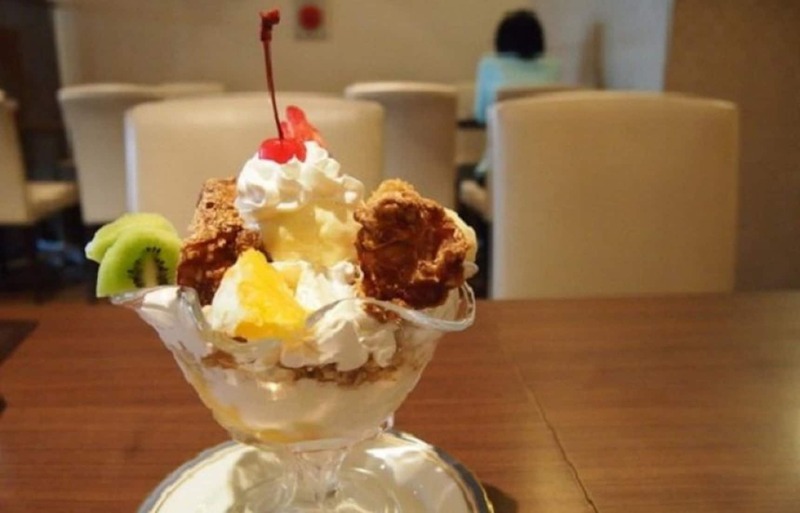 The most famous items there are the unique parfaits - Roasted Cutlet Parfait, Fried Shrimp Parfait, Fried Chicken Parfait and more - things no one have ever thought of. You will have to wait for about 10 minutes to be served as the toppings will be fried only after you order them. This never-seen-before collaboration allows you to enjoy great fried food together with marvellous parfait. Imobou is a famous shop in Kyoto that is known for traditional Japanese food and is a great place for lunch and dinner. Apart from that, the Imobou Hiranoya Main Branch is also known for the fantastic Uji Milk Kintoki. The Uji Milk Kintoki is a Kakigori (shaved ice) served with Matcha sauce, milk sauce and red beans. This soft and crunchy ice together with great toppings are extremely delicious and is perfect for an afternoon break during summer. Page One is a café opened by Morita Himuro Honten, the Kakigori shop in Kyoto with the longest history. The most popular dish at Page One is the Strawberry Kakigori where freshly blended strawberry sauce and condensed milk are poured on the soft shaved ice. Together with sweet strawberries on top, this refreshing sweet can be enjoyed all year round and is delicious even in winter!